Zhemgang district lies at an altitude range between 600 – 3000m at south-central Bhutan. The area is mostly pristine with undistrubed forests. The people, known as Khengpas, are mostly humble and down to earth. They speak Khengpha, which supposedly the third main language in Bhutan other than Dzongkha and Sharchopa. The dzongkhag is divided into two parts, the upper Kheng and the lower kheng. While there are numerous villages and places, Atlas Tour and Travel has identified few villages from both Upper and Lower Kheng which has potential for ecotourism development. 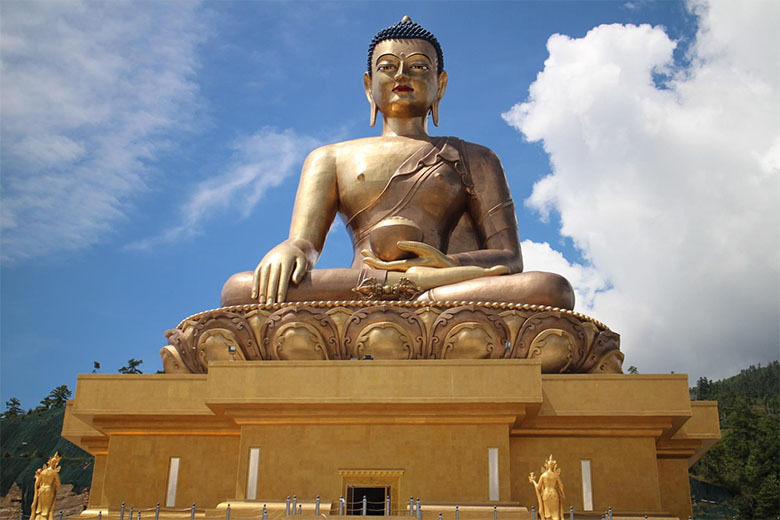 Over the past one year, Atlas Tour and Travel has explored these places come up with an interesting itinerary to provide tourists travelling to Bhutan with an alternative option to explore Bhutan’s ancient culture and nature. The place is also suitable for adventure like river raftings. 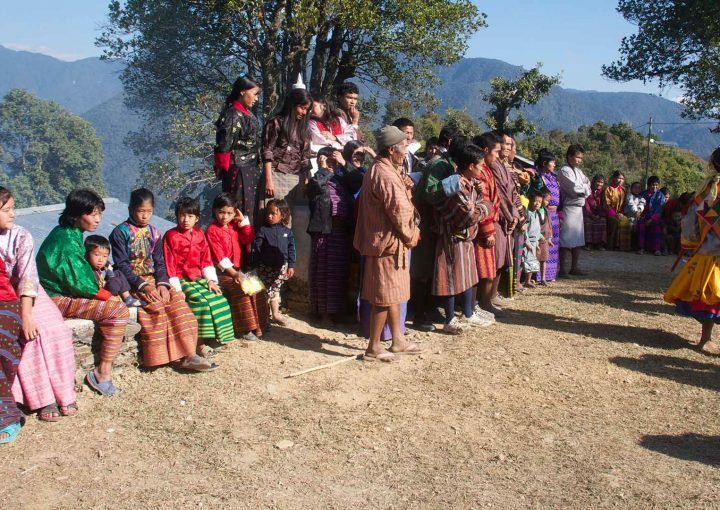 As part of responsible tourism, Atlas Tour and Travel feels that there is a need to explore other areas in Bhutan so that the locals from different areas in Bhutan also get the means to enhance thier income from tourism activities. This will also help them to understand the importance of preservation of thier culture and nature. 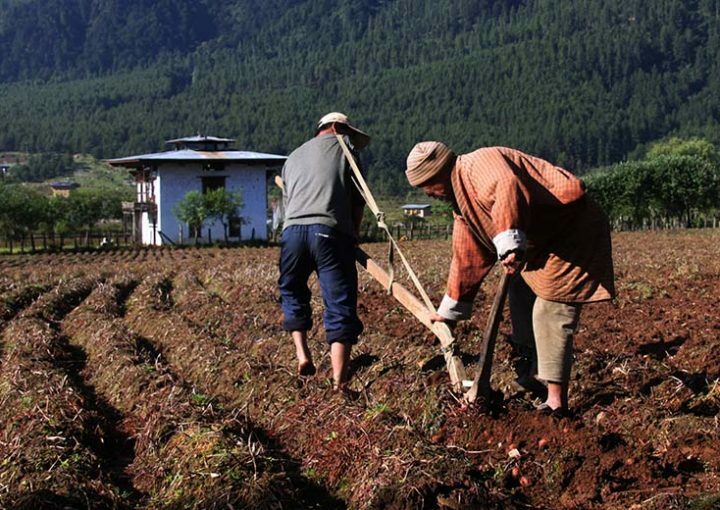 With development activities taking at an umprecendented pace, it is of prime importance to preserve the age-old traditions that define Bhutan and the Bhutanese way. 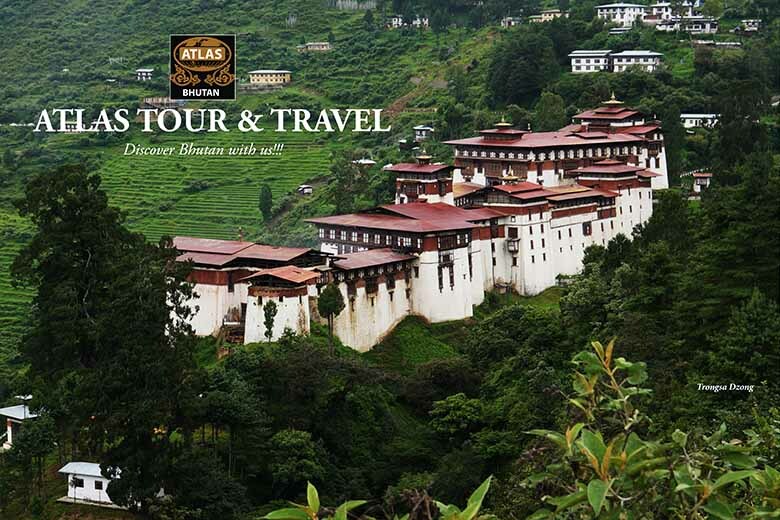 By exploring such places and paving way for tourism, Atlas Tour and Travel hopes to be a responsible tour operator by contributing to the preservation of Bhutan’s culture and tradition. Himalayan Mountains including the sacred Mt. Jhomolhari & Mt. Jichu Drake in Bhutan. 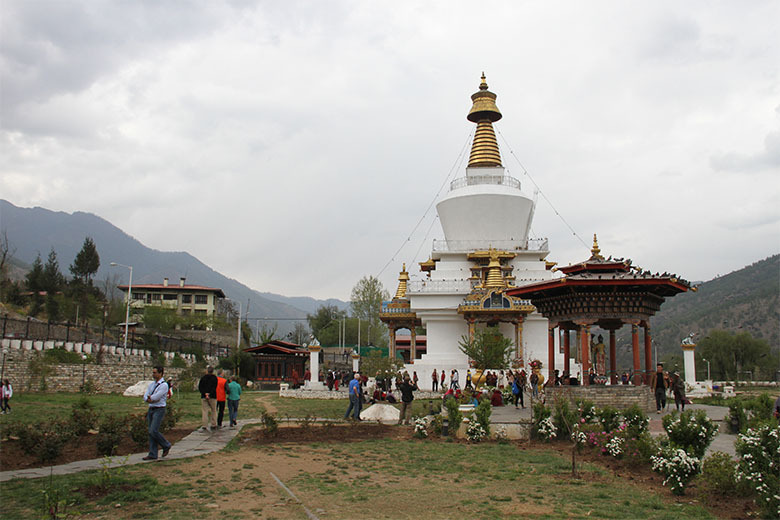 On arrival at Paro Airport a representative of Atlas Tour and Travel will receive you and drive to Thimphu. by King Jigme Dorji Wangchuck in the 1960s. Tashichho Dzong houses some ministries, His Majesty’s secretariat, and the central monk body. <strong>Motithang Takin Preserve:</strong> Houses the rare national animal of Bhutan. Takin is listed by international conservation agencies as a vulnerable species and it is a rare animal found only in Bhutan, Nepal and Burma. <strong>National Institute for Zorig Chusum:</strong> Or the school of Arts and crafts is an institute where student undertake a six year course on the 13 traditional arts and crafts of Bhutan. <strong>Traditional Medicine Institute:</strong> In Bhutan, equal emphasis is given to both allopathic and traditional medicines. The rich herbal medicines made up from medicinal plants are prepared and dispensed here. <strong>Folk Heritage Museum:</strong> The house replicates a traditional farmhouse and is furnished as it would have been about a century ago. Overnight at hotel. 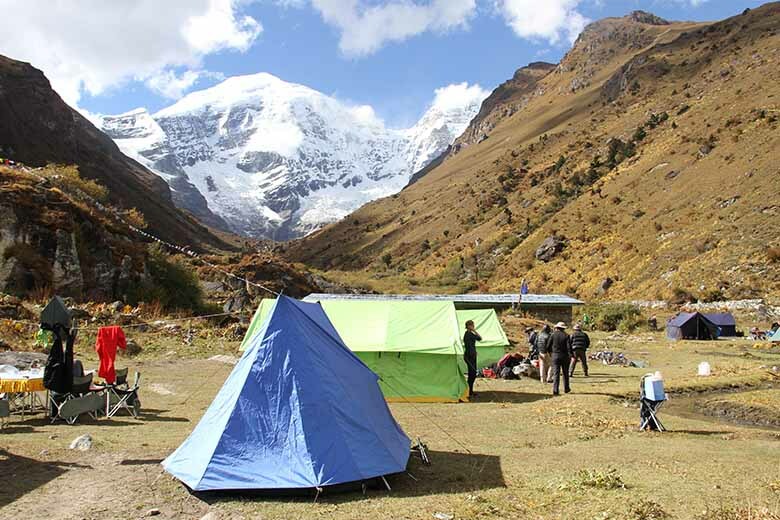 After Breakfast, drive towards Burichhu, where you will camp for the night by the Punatshangchhu river. Walk along the cantilever bridge, pictures and visit wayside roads where they sell local products like chillies, tamarind, etc. We will end the night with dinner and drinks with a bonfire. From hereon, we will venturing to one of the most important part of the tour, Zhemgang Dzongkhag, the land of the Khengpas. History reveals that the Khengpas once ruled some parts of Assam as well. This is evident in the castle of Bjoka, where one side of the wall is built with thiner and darker stone slabs which were brought by the Assamese subjects. The Other part is of thicker and shiner slabs which were contributed by Bhutanese subjects. In the morning, we will drive towards Tama Goenpa (1500 m) , a temple built in 16th century. 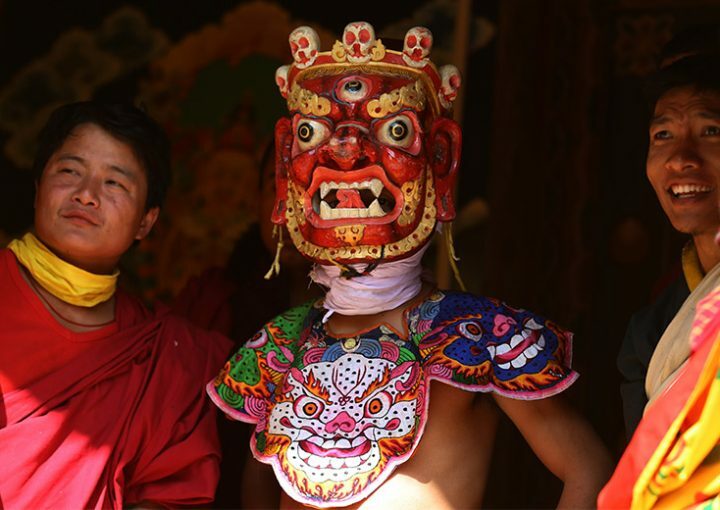 The remains of the Great Treasurer revealer, Tertoen Pema Lingpa was kept on the mound resembling the Elephant. From the mound, we can see the Tama Lhakhang, which is the starting point for the 1-2 hrs birding trek. However, this will also take you through a rich vegetation of forests and reach at our camp in Berti. We will spent the night sleeping under stary skies by the Mangdechhu chu sipping local Ara. To relax you from the extensive driving in the past two days, we will not drive at all. We will spent the entire day in the Bertii village interacting with the villagers, helping them in thier household chores and field work like planting paddy, crops like maize, etc. depending on the seasons. Lunch will be cooked at one of the local houses. Since the government has leased out community fishing where local people are allowed to fish to generate income, you can expect freshly caught fish for your lunch. 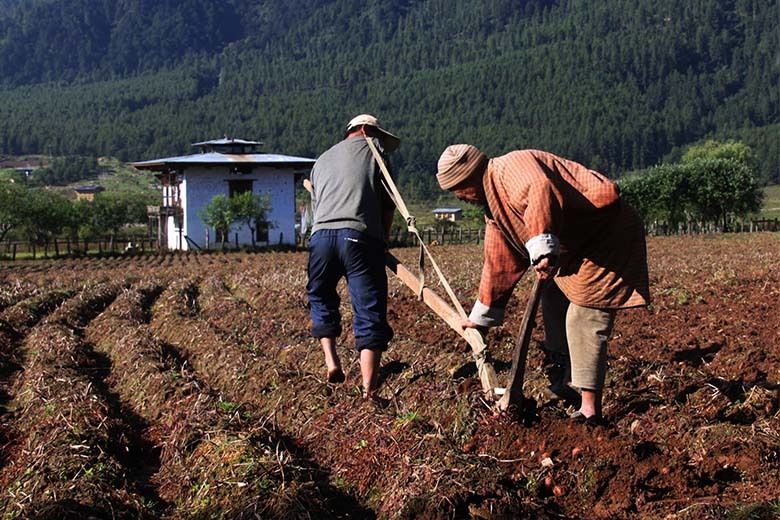 We have host of other activities that you will personally get to experience the life of a Bhutanese villager. Since Berti is also the habitat for the endangered White-bellied Heron, this is our chance to observe and learn about them. At night, we can arrange a cultural dance program. However, this may incur additional charges. Early morning, we will scout for the White-bellied heron by the Berti chu and after lunch, head towards the main road. We will then head towards Dakhphel and enroute, we will observe for the Rufous-necked Hornbill, Great Hornbill and the endangered Golden Langur licking for salt by the roadside. Furtherup, we towards Shemgang, we will also look for the endangered Beautiful Nuthatch and do birdwatching on the way. We will then visit the Zhemgang Dzong. Lunch will be served at Zhemgang. After lunch, we will return to Tingtibi and observe the local women making turmeric powder and also visit the Paper factory. Return to the camp. In the morning, a river rafting all the way to Pantang eco-lodge will be arranged. The river rafting will be carried out by the River Guide’s of Panbang, a community based organization that employ local youths who are trained professionally. A maximum of 4 hours rafting will be done. The route will take you through deep gorges and scenic areas. On the way, we will stop by to visit the Khenrig Namsum Cooperatives where local girls and boys are employed to produce local pickles like radish pickles, banana chips, etc. As we go along in the raft, we will reach the Durmein Tsachhu or hotspring. You can either take a dip as the it is very medicinal and of great religious importance. Guru Rimpoche, the Second Buddha is supposed to have found the place. Just nearby, you can also see group of capped Langurs licking on the rocks. Tea time will be arranged in between and we will then further raft towards pantang after crossing the confluence of Mangdechhu and Chamkhar Chhu that flows from Bumthang. We will then stop at point just belowe the Pantang ecolodge. Lunch maybe late but be assured the food served will be great at pantang. Afternoon will be spent. In the evening we will meet local people sing and dance with them near a bonfire. After breakfast, we will go to the local temple and witness the festival of Choedpa where masks dances are held for three days. We will spend the entire day and watch Atsaras and local people immersed in gaiety. Lunch will be at Patang Eco- lodge. A short visit to houses will be conducted to know about the local people. Evening will be spent observing the Bonism priestress perform- ing religious puja and learn more about bonism. A catch and release fly fishing can also be arranged. We will move towards Panbang after breakfast and those of you who did not get enough of river rafting, another session of river rafting can be arranged from the famous twin waterfall. Otherwise, after a merrriment by the twin waterfall, we will move towards Panbang and stay at the hotel. After check in at the hotel, we will move towards Royal Manas National Park office by crossing the Manas River in a boat and do elephant safari for the rest of the day. There are chances of spotting Gaur, Asiatic Water Buffola, Asiatic Elephants, etc. Early morning, we will move towards Bjoka village to see the anscetral house of the local ruler, the Bjoka Khoche. They are supposed to have ruled parts of Assam, India and Bhutan in the 19th century. One side of the house has unique architecture. Half of the wall is constructed by thin slabs of stones which were brought by the Assamese subjects while the thicker brighter ones were built by the Bhutanese subjects. Since the village is also famous for the Bamboo weaving, we will visit locals house and witness some of them weaving Bangchus. We will move back towards Tingtibi and halt over nigt there. We can visit the local paper factory, visit local shops producing local products, walk around the town, etc. We will drive towards Trongsa and visit the musuem of the Wangchuck Dynasty and The Trongsa Dzong, imposing structures built on hilltops. Stroll along shops in the evening. In the morning we will drive towards Phobjikha valley, the largest wetland in the country and also the largest wintering ground for the endangered Black-necked Cranes. After dropping at the Gantey Goenpa, we will walk along the Gangtey Nature trail, watch the cranes and visit the Blacknecked Crane Information Centre. In the evening, we will visit local houses. Early morning drive towards Thimphu and halt.